What is logged time and planned time in Timely? 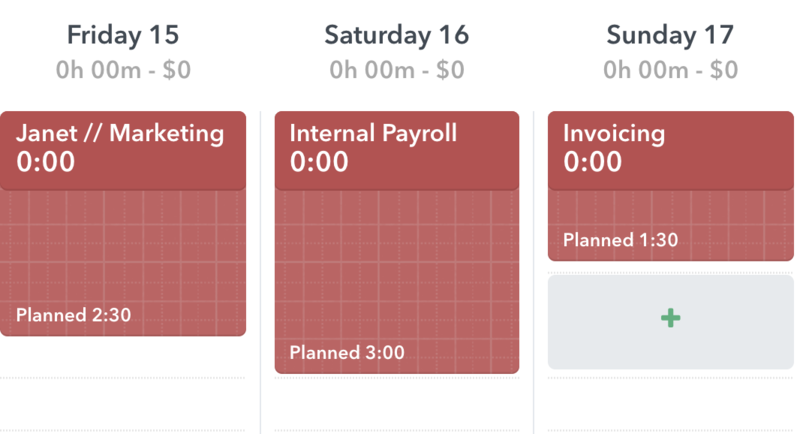 Planned Time (checkered in color) is the time you think you'll need to complete a scheduled task. Logged Time (solid color) is the actual amount of time you end up spending on the task. You can use the Planned Time feature to plan your day and anticipate how long it will take you to complete all your tasks. 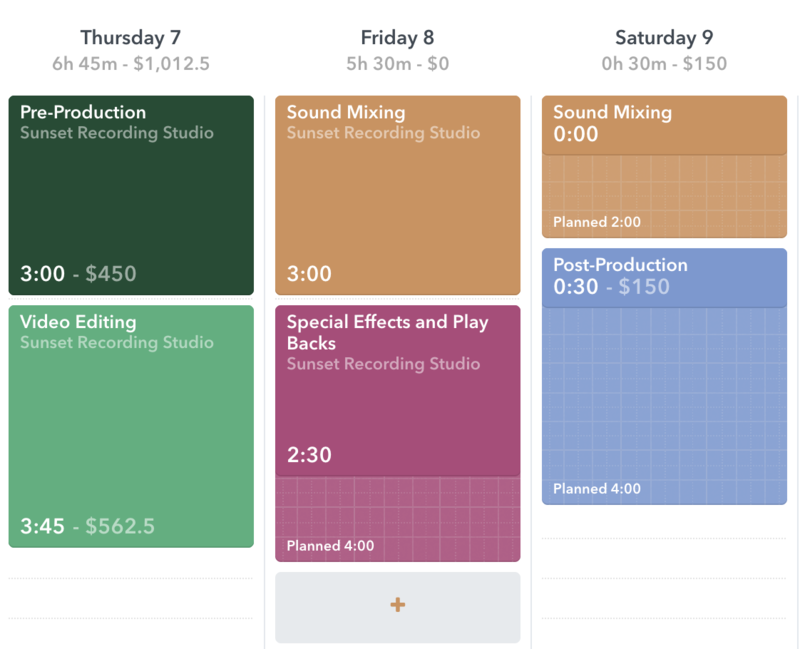 Your total weekly planned time can be found at the top of your calendar in Week view. How do I add Planned Time? Simply click "Plan" in a time entry box, enter your planned hours and save. How do I change my Planned Time to Logged Hours? Once your event has occurred, you can drag the solid area of the entry down over the checkered area to log your hours. If you want to update details on the entry, just click on it. In the pop-up that appears, you can enter logged hours, change the project name, add tags and write notes. I've logged my time, why is my entry still checkered? Once you've logged your hours on a Planned Time entry, the total logged time will appear on the bottom left of the solid area. The Planned Time area will remain visible so you can easily see how much time you planned vs. how much time you spent on a task.